New Star Wars Endor Tsum Tsum Set Released on Disney Parks Shopping App! 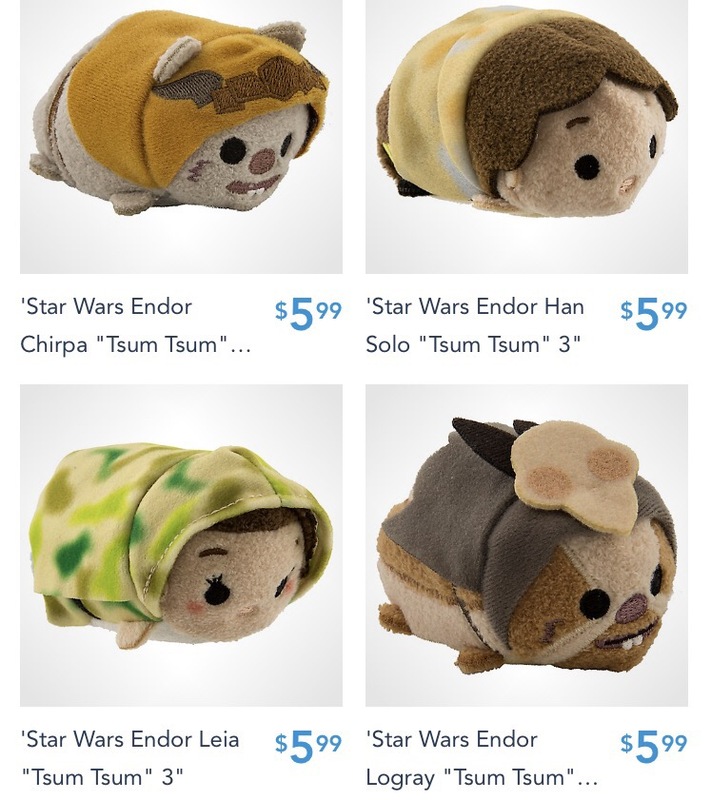 Home » News » New Star Wars Endor Tsum Tsum Set Released on Disney Parks Shopping App! The new Star Wars Endor Tsum Tsum Set has been released on the Disney Parks Shopping App. The new 6-piece set features Luke, Leia, Han Solo, Biker Scout, Wicket and Logray from the Endor scene on Return of the Jedi. While these have yet to debut in US stores, especially those at Disney Parks, their release on the App means their debut at the Parks is on the way. Be sure to download the visit the Disney Parks Shopping app and pick up the new Star Wars Endor Tsum Tsum set today! New Star Wars Tsum Tsum Series 2 Pins Released! Preview of the upcoming Adventureland Tsum Tsum Pin Set! New Star Wars Endor Tsum Tsum Collection Released! New Star Wars Endor Tsum Tsum Collection Coming Soon! New Pirates of the Caribbean Tsum Tsum Collection Released on the Disney Parks Shopping App New Haunted Mansion Tsum Tsum Collection Released on the Disney Parks Shopping App!